I LOVE stories that combine reading with, well, just about anything, but the books that combine reading and math are of particular interest to me. As a not-so confident math student growing up to a new teacher and even as a seasoned teacher, books about math have always been an important part of my teaching. Now as a mom, these books have taken on an even greater role in my life- reading them with my sons. 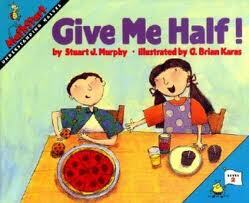 My favorite math book series is the Stuart J. Murphy MathStart books. 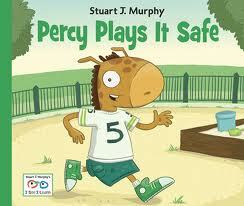 Murphy has over 60 books for children ages pre-k to 7+. The concepts vary from patterns and directions for the youngest to percents, graphing and negative numbers for the older students and, pretty much everything in between. I used many of these books when teaching and found them to be entertaining, well-illustrated, informative and a great help for students when learning new concepts. And, you know what else? The stories are actually good! 🙂 Each book begins with a two page section called, “Adults and Kids with activities to reinforce the skills found in the book. An excellent explanation of visual learning. Ideas and resources for teachers and librarians. A complete list of books by level (1,2, and 3), by concept and by national standards- how amazing is that? 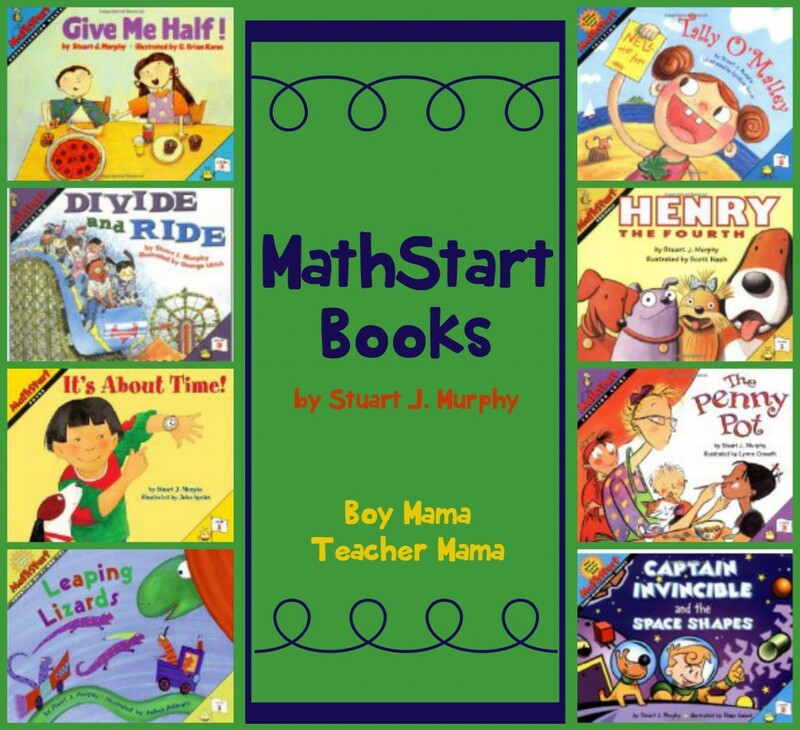 And my favorite, a downloadable list of math books from a variety of authors, sorted by skill! MathStart even has a musical called, “The Main Street Kid’s Club: A Math Start Musical” with music available on itunes. 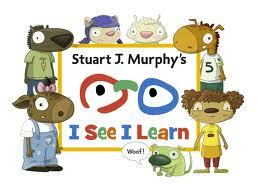 Murphy also has a series of books called, I See I Learn, with books about social, emotional, health and safety and cognitive skills. Book titles include Emma’s Friendwich (making friends), Percy Plays it Safe (playground safety), Percy Gets Upset (dealing with frustration) and Freda Stops a Bully (dealing with bullies). I have not yet read any of the books in the I See I Learn series, but will definately be looking for them the next time I am at a bookstore. The I See I Learn website has a lot to offer as well. An area called, “See-and-Learn City” which is still under construction, but looks like it will be a fun place to visit with my boys. If this is your first time visiting Boy Mama Teacher Mama, welcome! Did you know that you can also find us on Facebook, Pinterest, Twitterand G+? Stop by to see what is happening! I think they are available on Amazon also.